When Psy.D. candidate Damita SunWolf LaRue landed her dream internship serving Native American Veterans in Alaska, she took her responsibility one step further. Drawing on her childhood experiences as a tribal citizen of the Cherokee Nation, LaRue is building bridges between Native healing and Western medicine in her work. He was one of them, the people Psy.D. candidate and intern Damita SunWolf LaRue came to serve. A Native Alaskan and a U.S. 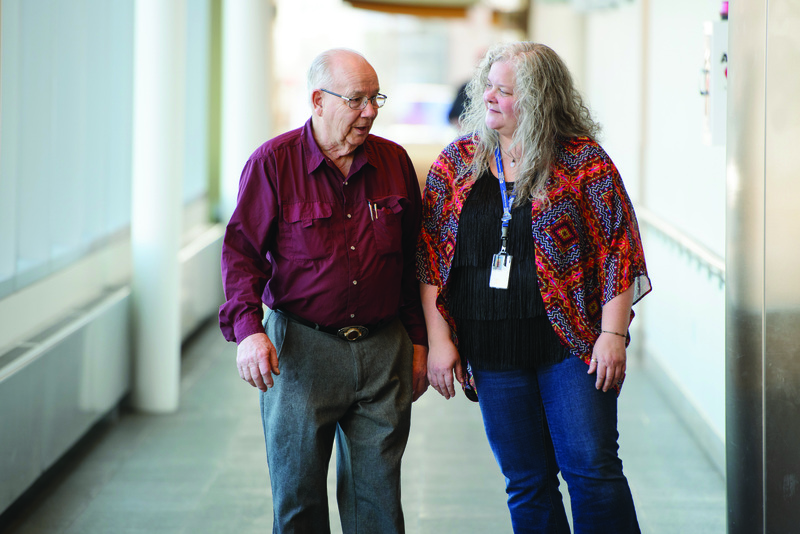 Veteran, the man entered LaRue’s life as a new patient at the Alaska Veterans Affairs Healthcare System in Anchorage—another man suffering in a place where winter days are already wrapped in darkness. When the man was subsequently diagnosed with cancer, LaRue, who earned an M.A. in Clinical Psychology from The Chicago School in 2013, says she witnessed the true potential of her chosen path. A tribal citizen of the Cherokee Nation in Tahlequah, Okla., LaRue’s first teacher was her grandmother, a medicine woman named Hazel LaRue DeWing. LaRue knew from an early age that she wanted to find a way to blend traditional ceremony and healing practices with modern psychology. So after getting a B.A. in Buddhist Psychology at Naropa University in Boulder, Colo., she went straight to The Chicago School’s Clinical Psy.D. program. “I only applied at The Chicago School. I knew that’s where I was supposed to be,” says LaRue, explaining that she was immediately drawn to the university’s focus on cultural diversity, hands-on experiential learning, and training in multiple theoretic orientations. That choice, along with her scholarly success at the Chicago Campus, opened the door for her to create a practicum that allowed her to begin pursuing her dream of serving the Native American community. In addition to externships at the John J. Madden Mental Health Center and Gateway Foundation, LaRue was also able to create and secure a position as a therapy practicum extern at the American Indian Health Service of Chicago—a nonprofit community health center that serves the Native American community and other underserved populations. It was during that time that she became interested in the particular challenges facing Native American Veterans, further complicated by the issues of historical loss and trauma this population already deals with. 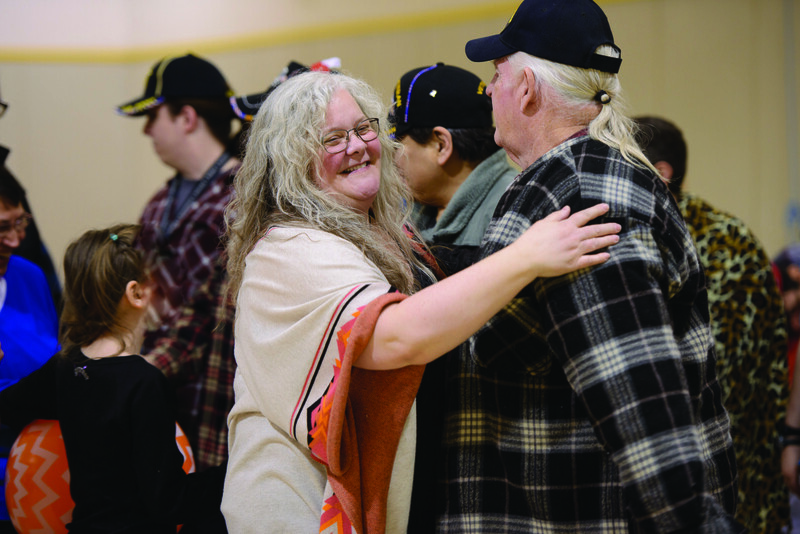 Soon after reporting for duty in Anchorage, LaRue immediately reached out to Native elders in Anchorage and the surrounding rural areas. She found the Talking Circle and the Sleeping Lady Singers and Dancers drum group, which has a foundation in sobriety for its members. She found the Alaska Native Heritage Center and she found the community. LaRue, who is scheduled to complete a Psy.D. and graduate from The Chicago School this summer. Soon thereafter, she will begin a post-doctoral fellowship in Rural Health Psychology at the Norton Sound Health Corporation in Nome, Alaska, a small community that sits nearly 600 miles Northwest of Anchorage on the Bering Sea. Today, LaRue feels right at home in a part of the world where winter days are as short as the summers are long—where Native peoples are still trying to find their rightful place in a society that can feel foreign to them.